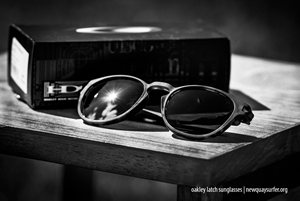 Last week the folks at Igero (based down by Salisbury Plain) sent us some of the latest Oakley Latch Sunglasses to check out. Igero curate some of the best sports related sunglasses and the team are also keen sports people…so I guess you could say they ‘talk the talk and walk the walk’. OK so back to the sunnies. They are lightweight and in some ways look like a slightly bigger version of the RayBan clubman design. The sunglasses were designed with the help of Skateboarders Eric Koston, Curren Caples and Sean Malto and with input from photographer Atiba Jefferson. The model we tested were the brown tortoise shell style with a dark grey lens colour. The first thing you notice is how light the sunglasses are, but don’t be deceived this as it in no way makes them flimsy. The lens blocks out the sun effectively while still allowing you to do essential tasks (…which might include posting an Instagram or checking out who likes you on Tinder). The exact model we tested out can be found here. Oakley have designed a mechanism for these sunglasses which improves the way they can clip to the front of your t-shirt or jacket. 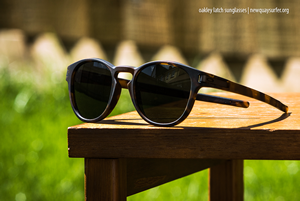 The Oakley Latch glasses offer 100% UV Protection from the sun’s rays. As surfers we know this is super-important as the light around the coast can be really, really bright. The technical info for any of you geeks out there, is that these sunglasses feature HDO for optical clarity and impact protection. The plutonite lenses filter 100% UVA/UVB & UVC light. The Plutonite® Lens is optically pure and maximizes clarity. Its impact resistant and filters 100% of all UVA, UVB, UVC and harmful blue light up to 400nm. Its not a coating as such – the UV protection is from the lens material itself. The sunglasses are designed to offer high protection against high-velocity and high-mass impact. The 3-Point Fit ensures the frame makes contact only at the bridge of the nose and the sides of the head – holding the lenses in precise optical alignment. The frame is designed with O-Matter™, which is a strong stress-resistant material which can put up with environmental extremes. We think these sunglasses are well-designed, lightweight and sturdy. 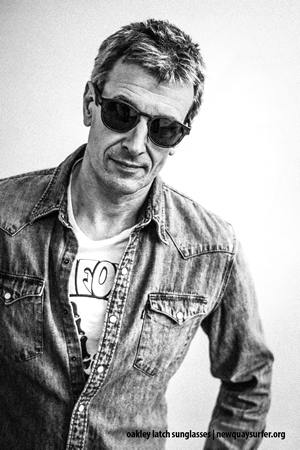 If you’re looking for a stylish pair of sunglasses this Summer to protect your eyes from the sun’s rays (as well as looking good on the beach), then these are well worth checking out. Thanks again to the folks at Igero for supplying us with a sample. 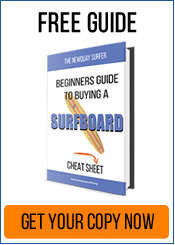 Previous post: Getting sunburnt surfing? What sunscreen do you use?